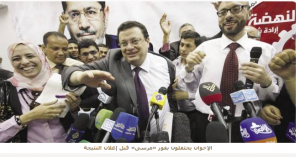 On 25 September 2013, I published an article about Egypt’s Presidential elections fraud for the year 2012, in favor of Mohamed Morsi (The Muslim Brotherhood candidate). Since then, I was not waiting for any proof to be certain that these elections were forged. 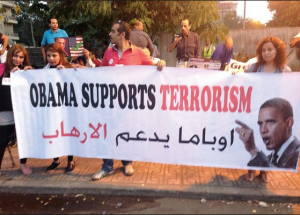 But unfortunately, when Muslim Brotherhood were in power, chaos was ruling the country as well as terrorizing. Muslim Brotherhood terrorized us, that either to rule or to kill us and turn Egypt to a burned land. I remember that period like it was yesterday. There were many violations committed by MB in relation to the presidential elections, but all were ignored at that time. Muslim Brotherhood and their political party announced Mohamed Morsi as winner of the presidential elections at 3:00 AM on Monday 18/6/2012 in a press conference, 2 days before the official result announcement which was announced on 20/6/2012 and despite that the elections committees were still counting the votes in many elections districts and governorates!!! Many Christians especially in upper Egypt and in villages were terrorized in their own homes, stopped and been terrorized by armed Islamist extremists from going to vote in the first place. In addition to forgery in many districts. When the result was officially announced, the Superior elections committee said that there were some violations, but they were not given any proof or any investigations about it, and they totally ignored the entire issue. On 4/12/2013, the judicial Consultant Adel Idriss, the appointed judge by the Ministry of Justice decided to run investigations with some judges who were accused of participating and involved in presidential elections forgery and he declared lifting the judicial immunity of judges belongs to “judges for Egypt” a movement that was supporting Mohamed Morsi candidate of Muslim Brotherhood. These judges were also accused of inciting and directing voters to vote for Muhamed Morsi in the presidential elections of 2012. The investigations assigned judge declared that the press is banned from publishing any details about this court case on 28/10/2013, till another announcement. Recently, the ban was lifted for publishing because we the Egyptian people have the right to know the truth. The world also need to know the truth about the Muslim Brotherhood terrorist organization and the convicted Mohamed Morsi supported by the US administration and EU countries, who gave us a headache about their support to democracy and freedom in our region. These western countries rulers and officials were actually supporting terrorism and religion fascism in Egypt. In January 2016, and after the ban from publishing was lifted, Elwatan News exclusively started to publish documented facts and investigations about the presidential elections 2012 fraud. The former minister of interior, General Ahmed Mohamed Al-Sayed Gamal El-Din, was excluded from his post by the supreme guide of MB in Egypt, who was the actual ruler of Egypt back in 2012. 1 Ballots forgery for the candidate Mohamed Morsi in 32 cases in 16 governorates. 2 Some of the elections committees judges did not respond to the criminal investigators administration, to check the facts of forgery in their records or to examine the ballots that were forged in advance in favor of Mohamed Morsi. Despite that official reports were provided including official reports from voters against some of the elections committees judges who were directing voters to vote for one of candidates (Mohamed Morsi). 3 Official reports were provided about some of the civil registry employees who gathered identities from voters, and presented these assembled identities to some of the committees elections judges in Assiut governorate. Then these identities were burned and this happened in Al-Fath center in Assiut governorate. 4 Official reports were provided about terrorizing voters in some areas, who were exposed to gunshots outside the elections headquarters and this shooting happened from the supporters of both candidates in some areas. 5 Many Christians in Al-Minia and in Al-Fayoum governotates were stopped by force, terrorized and received direct threatens that they will be harmed if they go to vote. Christians in these 2 governorates were terrorized and stopped from voting by Islamist groups and supporters of Muslim Brotherhood and Mohamed Morsi. Most of these Christians refused to make official statements about these incidents, because they were scared to be targeted or harmed in the future. These Christians reported to the police verbally, but refused to make official reports against the Islamists who terrorized them. Police investigations about these incidents confirmed these threatens by Islamists to Christians. In addition, in some elections headquarters, there were indirect shooting against Christians and the purpose was to terrorize them from voting or to stop them from going, Like in North Sinai governorate and other areas. Official reports were given to chief of the superior elections committee about many ballots stuffing that were very clear in front of the Chief of the elections committee, and all what have been monitored and stated as facts about this forgery, were enough and clear to make the elections committee’s chief to take the right decision about the proceedings that corrupted the entire electoral process. 7 The concerned authorities who investigated the forgery of the presidential elections and provided official reports, were not in a position to act according to the public prosecution request to make further and final investigations about the elections forgery, because the superior elections committee announced the final result on 20/6/2012 and announced Mohamed morsi as the winner against his rival Ahmed Shafik and the decisions of this committee was immuned against any appeal. 8 Anyone who had information or proof that these elections were forged, was scared to reveal it after the announcement that Mohamed Morsi won presidency elections in Egypt. 9 If the other candidate Ahmed Shafik was announced as the winner of these presidential elections, especially in the environment that Egypt was living, with all that mass of Islamit and extremists groups, Egypt was going to confront a wave of terrorism and violence that was going to get the country in a terrorism circle worse than the one Egypt faced in 1990. 10 Muslim Brotherhood announced their candidate Mohamed Morsi is the winner of the presidential elections in a press conference 2 days earlier to the final result announcement, and while the voting counting was still running in some governorates, and this was a clear message and an indication of what they were up to, if he was not the winner of these elections. This also was confirmed in many incidents after he was announced the winner, through all the violence and the terrorizing that were taken place every time Mohamed Morsi or Mulsim Brotherhood were facing protests or opposition. The former minister of interior, General Ahmed Gamal El-Din was excluded from his post when Mohamed Morsi became the president of Egypt, because General Ahmed insisted to apply the law on Khairat Al-Shater’s body Guard who possessed illegal and unlicensed weapons. The former minister of interior, General Ahmed Gamal El-Din was also excluded from his post because he disagreed with Mohamed Morsi on applying emergency law after he became the president. In addition to General Ahmed’s confrontations and declaring war on the armed Jihadist and terrorist elements, especially the Nasr city terrorism cell and terrorists elements in Sinai. In addition, General Ahmed refused Mohamed Morsi’s orders of using violence with the demonstrators who protested against Mohamed Morsi’s dictatorial constitutional decree. On 21/1/2016, Alwatan News published part 2 of the presidential elections 2012 fraud. 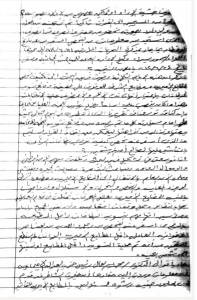 In this part 2, the newspaper provided official detailed reports and documentations of the ballots stuffing in favor of Mohamed Morsi in 16 governorates, and other ballots stuffing from Al-Amiria printing houses which were caught in 10 governorates and 6 from the police printing houses. The presidential elections forgery back in 2012, doesn’t mean that Ahmed Shafik the rival of Mohamed Morsi was the winner, because with all these elections violations back in 2012, the entire proceedings of the presidential elections were corrupted. It also means that Mohamed Morsi was not democratically elected. All the sources of information in this article are linked in the article text. The following are screenshots from General Ahmed Gamal El-Din official testimony as translated above.